Although the majority of homes use asphalt shingles, there are many roofing options available. Some materials are better suited for damage from hail, while others provide a high level of fire protection. 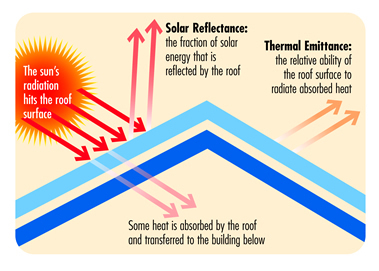 Shown below is a brief guide to the most popular types of roofing. These roofs are popular because of their fire resistant properties and durability. Plus, metal roofs typically last longer than other materials; up to 50 years. The most common type of materials used for metal roofing is steel. Wood roofing is typically made from cedar and is less fire resistant than other materials. Most areas of the country no longer allow wood shingles. The most popular type of roofing material is asphalt shingles. This is usually the least expensive option for covering a roof. This material is available in many different styles and durability levels. Slate roofing provides excellent durability, lasting 100 or more years in some areas of the country. The roofing is very heavy, so the structure of your house will need to be able to support it. If you live in an area that is prone to insects or mold, consider clay tile roofing. This type of roofing is popular in the southwest region. Because the material is heavy, your structure will need to be evaluated to determine if it is a good idea. Since the technology has improved; the price of solar roofing has dropped significantly. Solar shingles are popular because they allow you to help power your home from the energy they collect. Typical roof installation costs vary, but energy savings are immediate, and there are usually tax incentives to installing solar roofing. Before choosing a roof, call Select Roofing to find information on the differences and benefits. All too often, roof system problems are discovered after leaking or other serious damage occurs. Periodic (twice-a-year) inspections can uncover cracked, warped or missing shingles; loose seams and deteriorated flashings; excessive surface granules accumulating in the gutters or downspouts; and other visible signs of roof system problems. Indoors, look for water stains on the ceiling, cracked paint, discolored plasterboard and peeling wallpaper as signs of damaged roof areas. You have two basic options: You can choose a complete replacement of the roof system, involving a tear-off of your existing roof, or possibly re-cover the existing roof, involving only the installation of a new roof system over the old roof. If you have already had one re-cover installed on your original roof system, we do not recommend an additional re-cover. In many instances, building code requirements allow no more than one roof system re-cover before a complete replacement is necessary. Not necessarily. Leaks can result from flashings that have come loose or a section of the roof system being damaged. Most work should not be done yourself. Professional roofing contractors are trained to safely and efficiently repair or replace roof systems. You can damage your roof system by using improper roofing techniques and severely injure yourself by falling off or through the roof. You may also void any warranty. Maintenance performed by home and building owners should be confined to inspecting roof systems during the fall and spring to check for visible signs of damage such as cracked or curling shingles and cleaning gutters filled with dead leaves and other debris. The lifespan of a roof is based on many factors, including local climatic and environmental conditions, proper building and roof system design, material quality and suitability, proper application and adequate roof maintenance. Roofing product manufacturers offer a variety of warranties on their products. Take a close look at those warranties to see what responsibilities and financial obligations manufacturers will assume if their products fail to reach their expected lives. The price of a new roof system varies widely, depending on such things as the materials selected, the complexity of the roof design and local building codes or home owner association requirements. Keep in mind that price is only one factor, and it must be balanced with the quality of the materials and workmanship. Insist on a contractor who is committed to quality work and provides a strong warranty. Yes! It is important to keep heavy snow off your roof, eaves and cleared out of your ridge vents. While allowing hot air to escape from your attic is a good thing, preventing it from entering your home in the first place is even better. One way to do this is through a “Cool Roof” solution. reflect the sun’s energy (solar reflectance) and quickly give off any heat that it does absorb (thermal emittance). The Cool Roof Rating Council (CRRC) oversees an independent rating process that provides a means for direct comparison of roofing products. The higher the CRRC reflectance and emittance ratings, the more “cool” a product is considered to be. Steel Shingles are available in several options that do meet Cool Roof standards. These premium shingles also offer the classic beauty of slate, wood or tile, creating a roof that is as attractive as it is efficient. Ask your Select Roofing Consultant to walk you through the options. Summer is not the only season to focus on energy savings. In the wintertime, cold air drafts become the primary concern with regard to utility bills. Applying an air barrier membrane can help seal gaps and block cold air—saving your furnace from having to heat this unwelcome guest. Select Roofing offers several products designed to form a tight seal around windows and doors, wall-to-wall tie-ins and other areas susceptible to air infiltration. Naturally, the ideal time to apply these products is during new construction to provide a “whole house” solution. But you should also keep them in mind when building a new addition to your existing home. When it comes to enhancing your home’s energy efficiency, every little effort helps. Adding ridge ventilation or applying an air barrier around windows and doors might not seem to make much of an impact today, but the efficiencies they provide can really add up over time. So can the savings you’ll realize thanks to lower utility bills. Ventilation Products Attic space is a haven for hot, stagnant air. And without proper ventilation, this hot air will continue to build up—causing your air conditioner to work overtime in an attempt to cool it. Installing ridge ventilation is a more efficient way to battle the heat, and Select Roofing offers several options that provide outstanding performance when used in conjunction with sufficient soffit ventilation. Each can be installed quickly at a very reasonable cost. Ventilation products are designed to be installed along the ridge of your roof, allowing heat and warm, moist air to escape from your attic. Reducing moisture will also help assure the integrity of your insulation’s R-value (which is the measurement of a material’s resistance to heat flow).